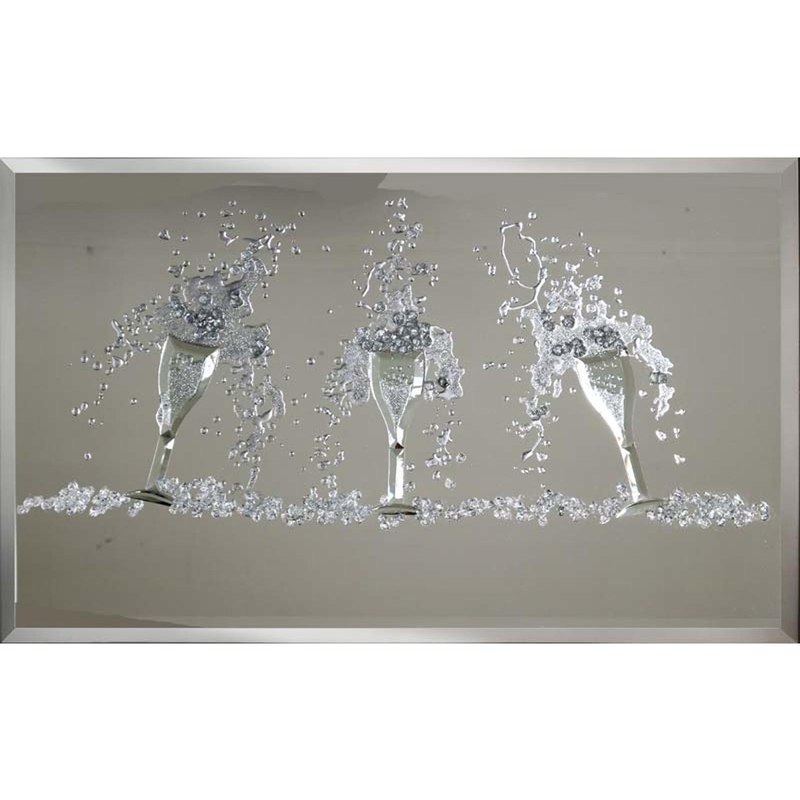 Add some excitement to your home with our stunning Trio of Champagne piece. A celebratory themed piece perfect for any eating or drinking are due to the style of this art work. The artist used glass crystals and glitter on this piece to make the spilling dink sparkle. It was hand made and designed in the UK and can also come in custom sizes, so you don't have to worry about this piece not fitting correctly. Custom sizes can be made, for further information on pricing, please contact the office on 01642 455589.